Dingle, Adrian (a). Dime Comics, No. 17, October 1944. 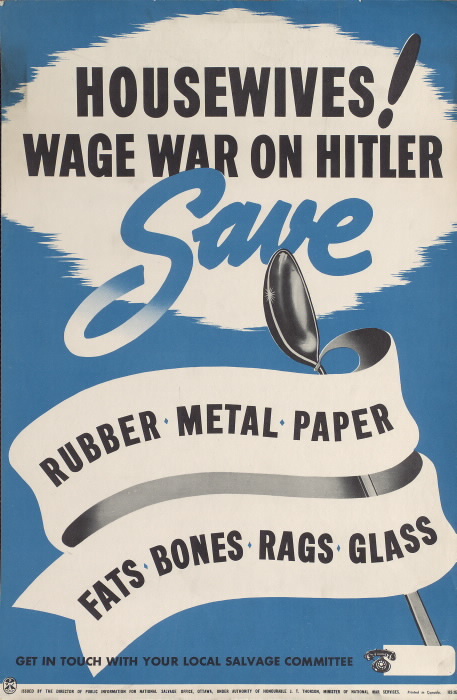 The Second World War was a taxing period for both adults and children. Many sacrifices were made, included halting the import of none essential goods. 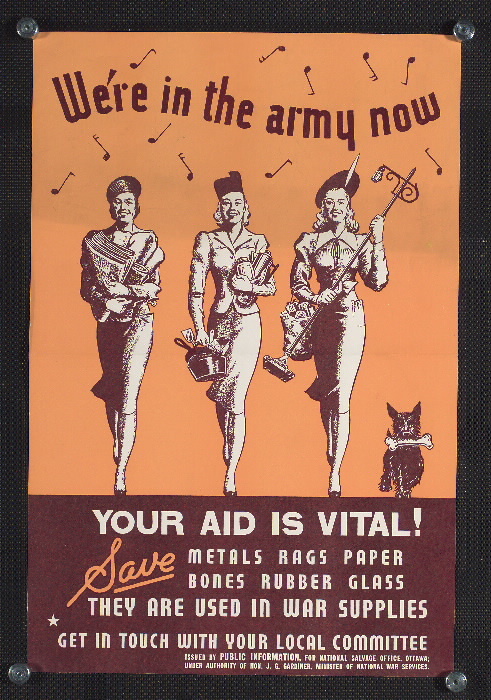 The introduction of the War Exchange Conservation Act of December 1940 brought about such reforms. Children were hit quite hard, as they lost their Comic book heroes (Bell 30). It was a loss not only of a source of entertainment but a loss of their comic book friends. 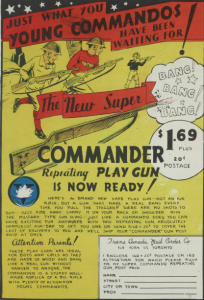 Canadian children also had to cope with the harsher realities of wartime. Prime among this was watching their family members go to war, with the possibility of not returning. 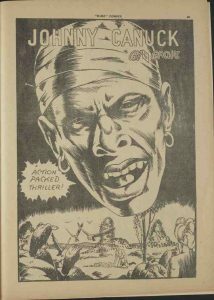 But in true Canadian spirit, Canadian comic book publishers formed. These companies were; Maple Leaf Publishing, Educational Projects, Anglo America, and Bell Features (Pascoe). Bell Features introduced a great line up of all Canadian heroes that represented the ideologies of Canadian values and appearances. 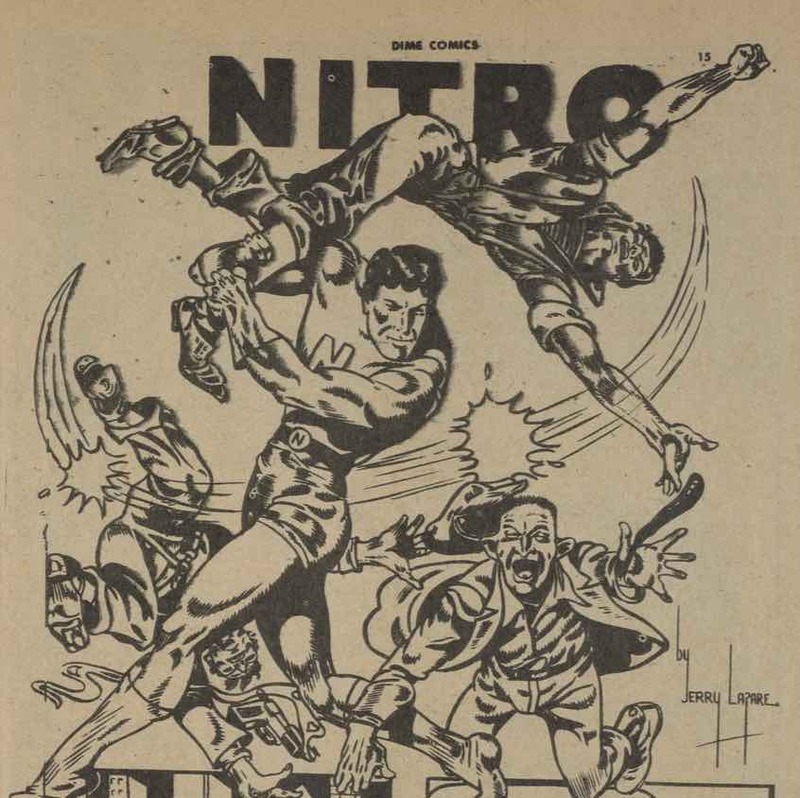 Their heroes included the likes of Rex Baxter, Nitro, and Johnny Canuck. 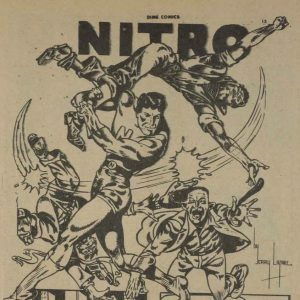 Rex Baxter, Nitro, Johnny Canuck and other various heroic figures featured, highlighted Canadian values and what a good Canadian looked like during that time. This was important as it provided a static visual representation of “nation and nationalism” in a time of great uncertainty and self-discovery for Canada (Edwardson 185). Though through retrospect, it is unfortunate that the representations of Canadian identity had a contingency of race. These iconic characters are among the roster of heroes that became known as “The Canadian Whites” a uniquely Canadian contribution to The Golden Age of Comics. 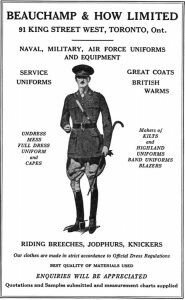 The reign of The Canadian Whites on Canadian newsstands was regrettably very brief, as publishers ran into many problems after the war. In the period of 1945-1947, The Canadian Whites disappeared (Bell 49). 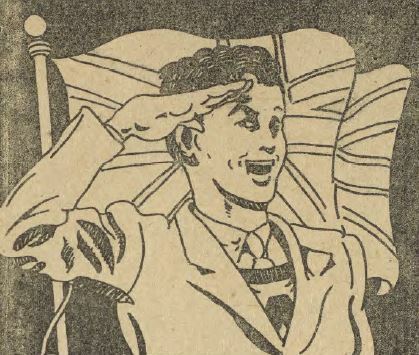 Though the Canadian heroes were not around for a long time, they were a critical contribution to the morale of Canadian youth and the formation of Canadian identity for children during the war. The Canadian Whites are considerably different from current superheroes such as those from the Marvel or DC cinematic universes. For the most part, they lack “super powers” though many showed great physical strength (Pascoe). 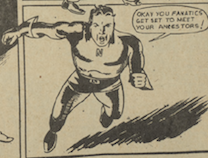 With the notable exceptions such as Adrian Dingle’s “Nelvana of the Northern Lights” and Vernon Miller’s “The Iron Man” few of the Canadian Whites were endowed with supernatural powers such as flight (Bell 43). 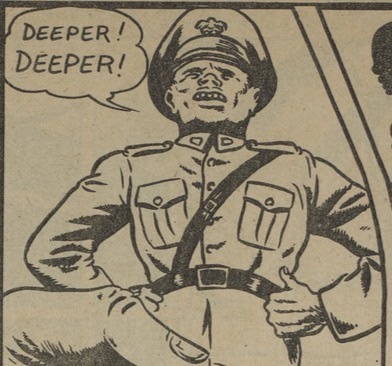 In the world of comics, they were realistic superheroes, for the harsh realities of wartime. 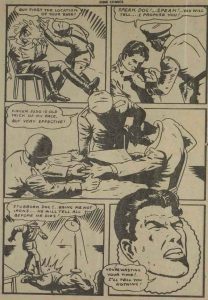 Dingle, Adrian (w, a) “Pepper Pot Captures a Spy” Dime Comics, no. 17, October, 1944, pp. 24-28.
clearly highlights the value of physical strength and raw patriotism to the Canadian superheroes. During a session of brutal one on one physical combat with a Nazi spy, Pepper Pot wins. He was equipped with only his exceptional strength and love of Canada. 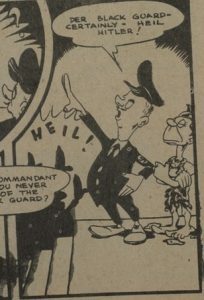 The comic states, “It was because he [en]visioned his beloved land of the Maple Leaf in the hands of the Nazis and all the horror which would subsequently follow that Pepper Pot went wild! Quick as lightning his legs came up and wrapped themselves in a scissor grip” (Dingle 28). Such imagery was essential for imparting to Canadian youth that all they needed was strength and a great love of Canada to serve their country. 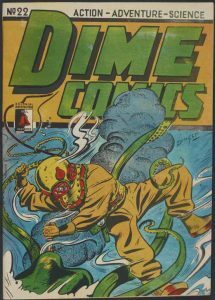 In Dime Comics No. 17, there is an inescapable presence of airplanes. Three separate adventures are set almost entirely in the air, with many others featuring airplanes to various degrees. By order of appearance, the first story is “Rex Baxter and Xalanta’s Secret”. 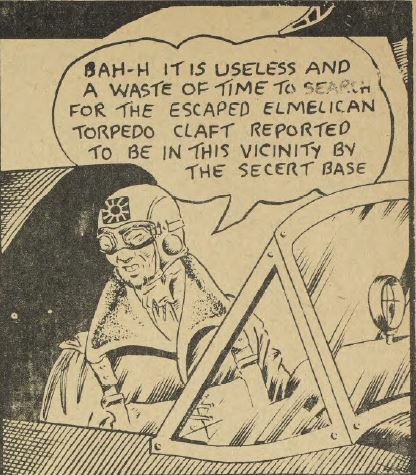 Rex Baxter and Gail speed through the sky in a stolen bomber to search for their friend Zoltan. The second story is “Scotty Macdonald”. 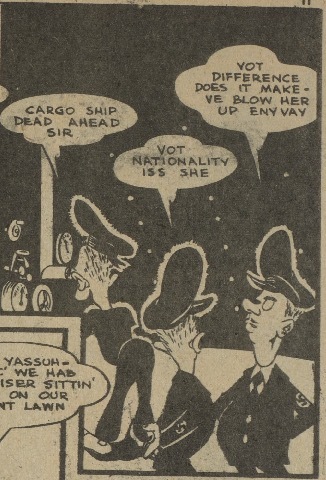 Scotty and his pals O’Hara, and Tana are fleeing after setting a Japanese aerodrome on fire. The third story is “The Flying Fool”. Frank Kent channels his rage over the loss of his brother into an unauthorized vengeance mission. Comics are categorized as children’s literature. The target audience is children, though “child” is a broad category as it spans from children who have just learned to read, all the way to young adults. 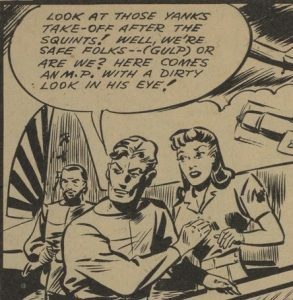 The featuring of combat pilots in the comics may be viewed as a tool for recruitment. E.T. 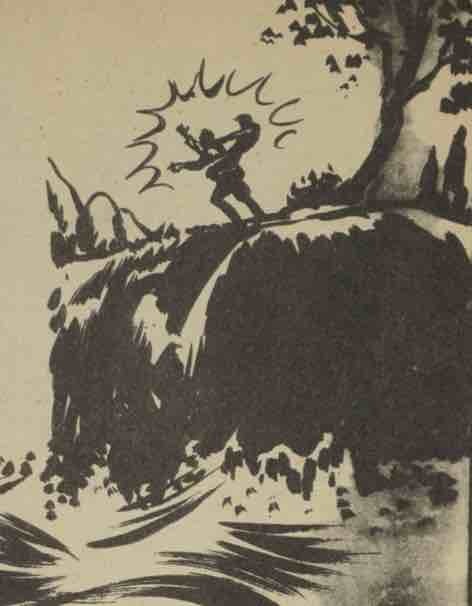 Legault’s “The Flying Fool”, is a prime example. Kent’s successful vengeance mission could easily inspire young Canadians. It is presented as “…the diary of Frank Kent, Dare-Devil Pilot Canadian Ace of the Skies” (Legault 36). The presentation of this story as a found journal adds an extra layer of realism. The loss of a brother is a story line that would have hit home with many of the story’s readers, who have family members that are serving or who were lost in service to their country. 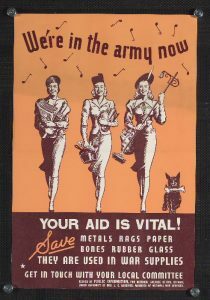 to join the in a combative manner or actively contribute to the war effort in other ways. Kent is the kind of hero that any able-bodied boy could realistically become. That is if they have the combination of the right skills, training, and equipment. If Kent’s story did not encourage young adults to join the war effort, it was at least able to offer them solace in a time of great loss. Adrian Dingle’s “Rex Baxter and Xalanta’s Secret” shows the theme of rescue. 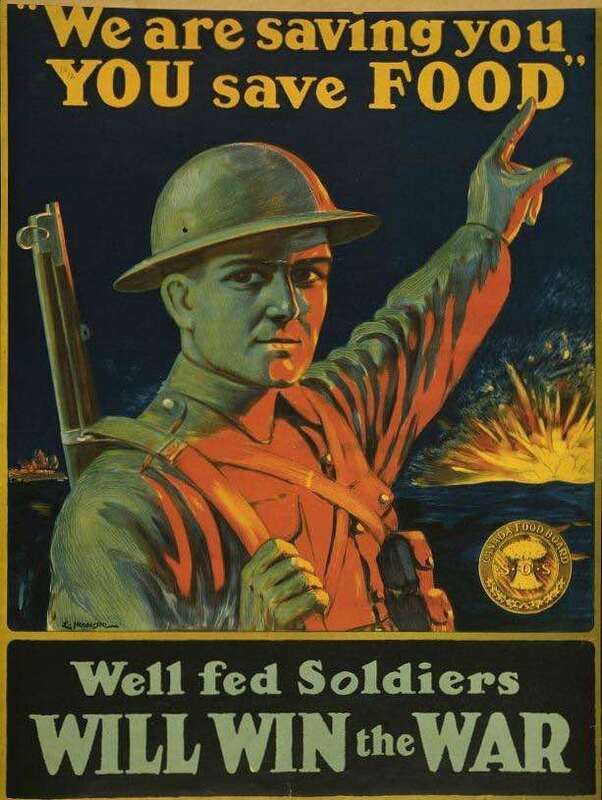 Soldiers did not only die in the war, but they faced the threat of becoming prisoners of war. Which was very dangerous, as it could lead to being tortured for Allies secrets or death. If the torture rendered results, it could put fellow servicemen in grave danger. Zoltan’s anguish is clearly depicted as he is shown collapsed on the floor with a bayonet pointed at him. 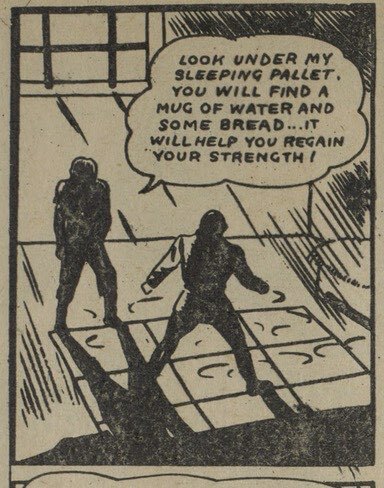 The closure in the panel states “Zoltan’s thought-train with rex is broken, his morale is shattered! As if to mercifully screen him from the grim thoughts of his impending death, the Xalantan’s mind goes blank and he falls senseless to the floor of his cell.” (Dingle 4). This story acts to show children that there is hope of rescue for servicemen that have been captured by the enemy. Al Cooper’s “Scotty Macdonald” repeats the theme of recusing with the addition of escape. Macdonald and his friend not only successfully steal a plane from a Japanese military aerodrome, but he manages to gun down the Japanese pilot that is following them. Macdonald is so confident that he utters lines such as “It’s a cinch they won’t attack us – we could fly circles around them” (Cooper 19) and “Righto! We’ll teach the beggars we’re not in the mood to play follow the leader”(Cooper 20). Macdonald’s success brings a glory to being aa pilots and will recruit children to the war effort. 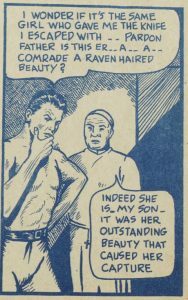 “Rex Baxter and Xalanta’s Secret” and “Scotty Macdonald” both feature women. 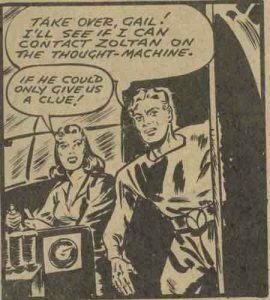 In “Rex Baxter and Xalanta’s Secret” Gail proves herself to be a capable pilot when Rex tells her to take over flying so he could use the “thought-machine” on board to try and contact Zoltan (Dingle 2). All goes well for Gail until the engines fail, and the plane crashes. 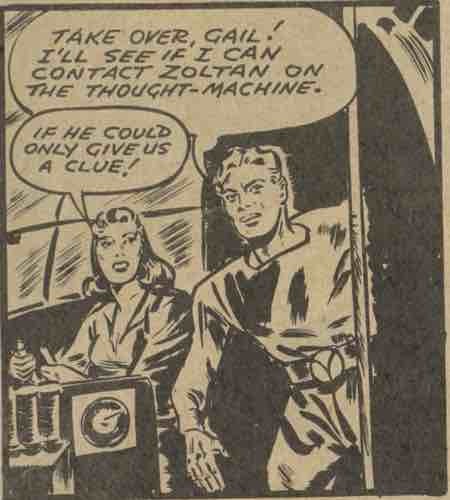 Gail’s piloting contributes to the mission, as Rex would not have been able to fly the plane and locate Zoltan with the thought-machine by himself. 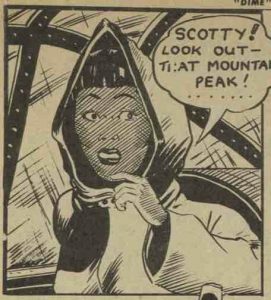 In “Scotty Macdonald” Tana does not fly the plane, but she provides an active lookout. 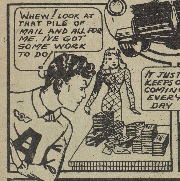 Though she is rather passive in this issue’s story, her presence is still important. Gail and Tana convey to Canadian youth that women are capable of stepping into important roles abroad and at home. 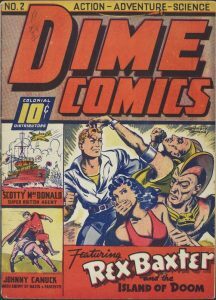 Cooper, Al (w, a) “Scotty Macdonald” Dime Comics, no. 17, October, 1944, pp. 18-23. 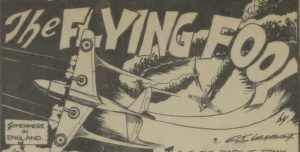 In all the three adventures that are set almost entirely in the air, the pilots are successful on their missions or survive a crash landing only to continue their mission in the next issue. 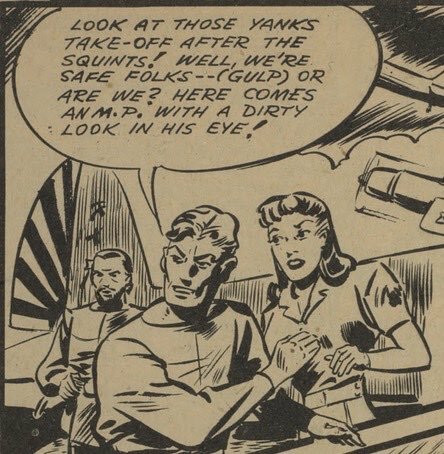 The outlandish success of the Bell Features Universe’s pilots initially seems to be merely a product of the hyper reality of the Comic book genre. However, there was a well-documented history of the accomplishments of Canadian pilots in the First World War. 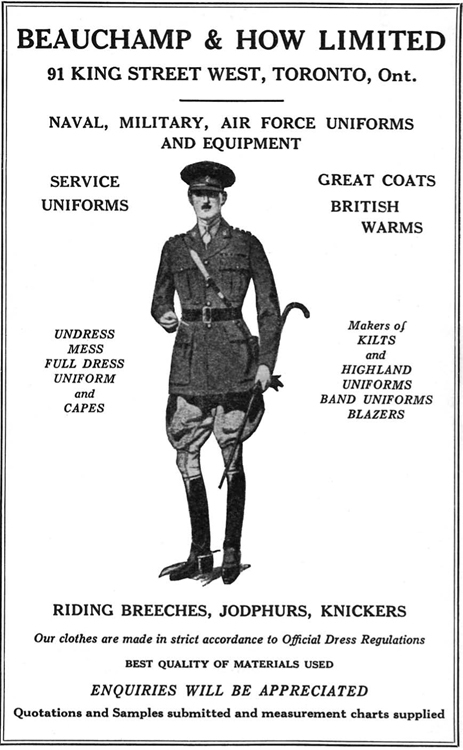 During the First World War, Canadian servicemen served as members of the British forces (English 5). Of the British Empire’s ten best pilots, five of them were from Canada (McCaffery 9). Of the Canadian pilots who fought in the First World War, Billy Bishop of Perry Sound Ontario was the most famous. (McCaffery 93). Bishop mastered the “deflection shot” which made up for his average pilot skills, his expert marksmanship was formed from during his childhood hunting in the woods (Pigott 48). This is an example of how the Canadian Landscape formed its heroes. Buck Mcnair was a was a top scoring Canadian pilot in the second world war. There are two notable instances that he survived extreme conditions. He survived the English channels frigid waters for several hours only to quickly returning to combat. When shot down a second time, he suffered severe burns and blurred vision this too did not prevent him from returning to combat (McCaffery 173). 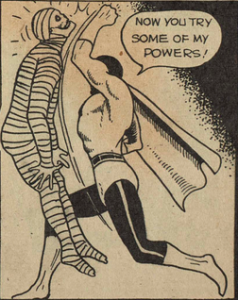 His tenacious courage makes the out allows the triumphs of the comic books superheroes plausible. Russel Bannock was one of the most successful pilots that fought for the allies in the Second World War. Though as he was a night pilot, his kills directly saved lives as he shot down German bomber planes. In his field, he was without equal (Pigott 19). Pigott notes that from a time he flew a “Mosquitoes” aircraft model as an inimitable detail, as it was particularly fast and maneuverable aircraft (19). This is important to note as in Dime Comics No. 16 Scotty Macdonald is noted to fly that same plane model (Al Cooper 42. This again reinforces the similarities of the real Canadian pilots and their superhero counterparts. 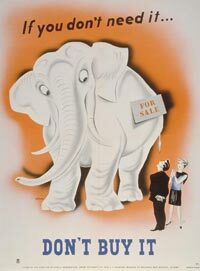 The Canadian Whites filled the emptiness left in the heart of Canadian children during the war. 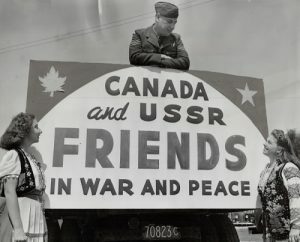 They gave Canadian children a strong sense of Canadian identity and a mass culture to unity around, in time that Canada was emerging as an independent country on the global stage of the Second World War. However, it was imperfect in that it was not an inclusive identity for all Canadians. 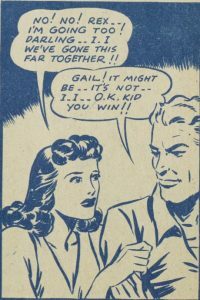 Race and gender were not equally included the adventures of the Canadian Whites. 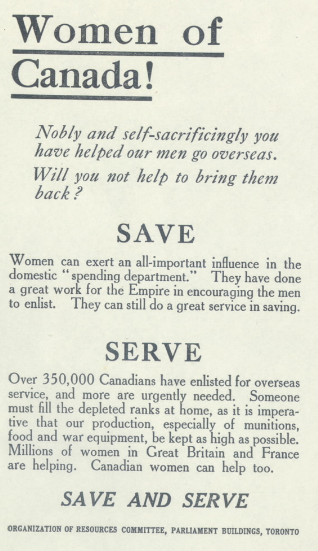 Yet it was a means of support, inspire, and entertainment for most Canadian Youth of the Second World War. Bell, John. Invaders from the North, edited by John Bell, Dundurn, 2006. ProQuest Ebook Central, http://ebookcentral.proquest.com/lib/ryerson/detail.action?docID=611683. Edwardson, Ryan. 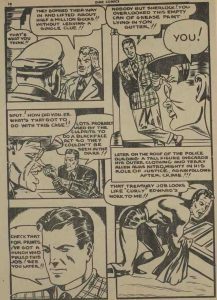 “The Many Lives of Captain Canuck: Nationalism, Culture, and the Creation of a Canadian Comic Book Superhero.” The Journal of Popular Culture, vol. 37, no. 2, 2003, pp. 184-201, doi:10.1111/1540-5931.00063. English, Allan Douglas. Cream of the Crop, MQUP, 1996. ProQuest Ebook Central, http://ebookcentral.proquest.com/lib/ryerson/detail.action?docID=3331472. McCaffery, Dan. Air Aces: The Lives and Times of Twelve Canadian Fighter Pilots. Lorimer, 1990. Scholars Portal Books, http://books1.scholarsportal.info.ezproxy.lib.ryerson.ca/viewdoc.html?id=37765. Pascoe, Will. Lost Heroes., 28 February 2014. McNabb Connolly, film. www.mcnabbconnolly.ca.ezproxy.lib.ryerson.ca/RyersonGeneralListing/titles/LHI-LH. Tennyson, Brian Douglas. Canada’s Great War, 1914-1918, Rowman & Littlefield Publishers, 2014. ProQuest Ebook Central, http://ebookcentral.proquest.com/lib/ryerson/detail.action?docID=1874264. 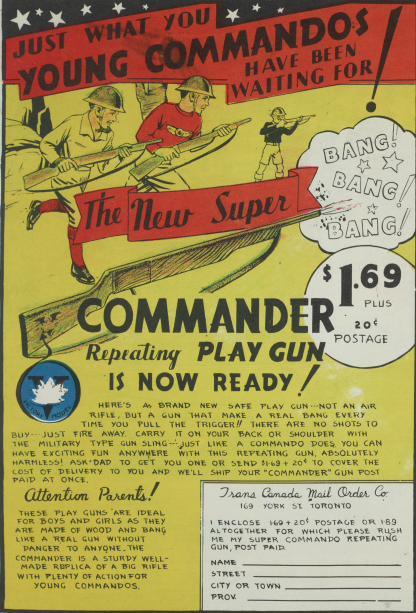 During World War II, Canadian comics experienced a ‘golden age’ (Bell). 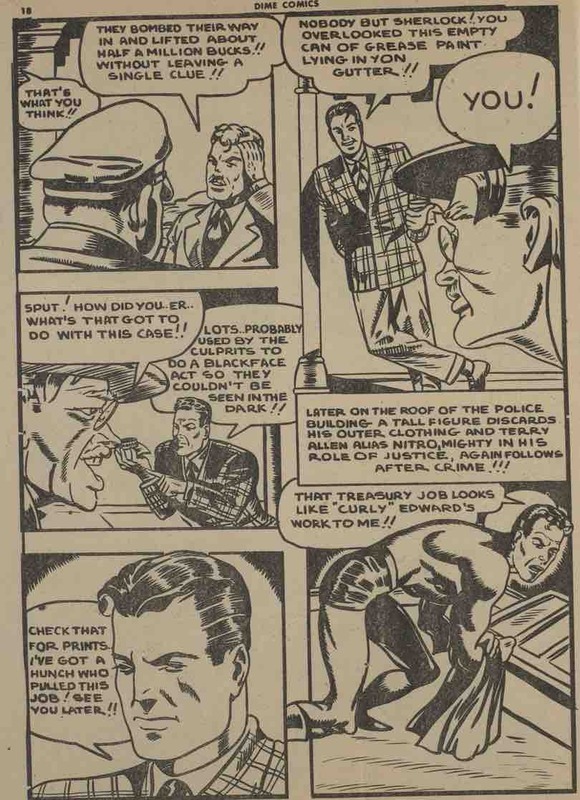 Due to the War Exchange Conservation Act (WECA) passed in 1940, luxury goods like comic books were banned from being imported (Kocmarek 148). Several publishing companies filled the gap, and Bell Features was established. 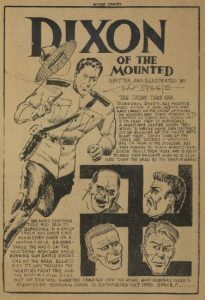 Bell Features published Triumph-Adventure Comics and Wow Comics with enthusiasm concerning the chance to portray Canadian nationalism in comics previously unseen. 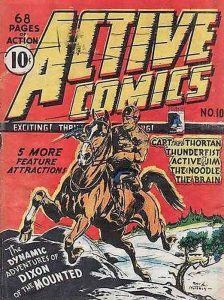 This new development in Canadian comics faced a reality of cheaper production methods compared to the previously popular American comics, so the comics produced did not have the luxury of vibrant colour printing, and appear antiquated and primitive from their shoddier artwork (152). 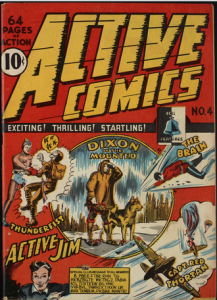 The reversion to black and white printing between the front and back covers created a distinction between American-made and Canadian-made comics. The comics published during this era were dubbed ‘the Canadian Whites’, and a new addition to symbolic Canadian identity was born. 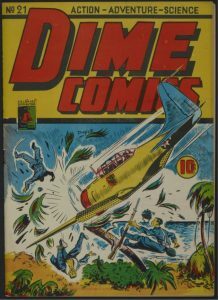 Amongst the other series produced by Bell Features, Dime Comics was published under the genre of “action-adventure-science”, i.e. science fiction. Issue no. 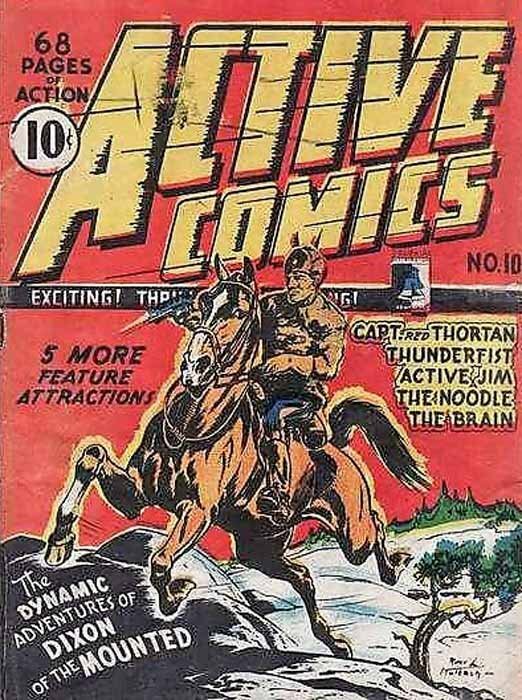 21 comic reads more like propaganda, featuring stories set on the war front in abundance. 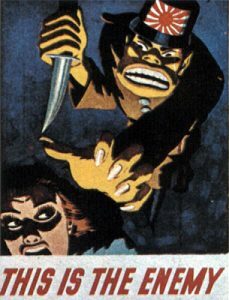 It was released June 1945, during the end of WWII; the European front had ended with Germany’s surrender, but Japan had yet to (Stacey). The continuation of battle on the Asian front is explicitly represented in the narratives set in Japan with Japanese enemies. 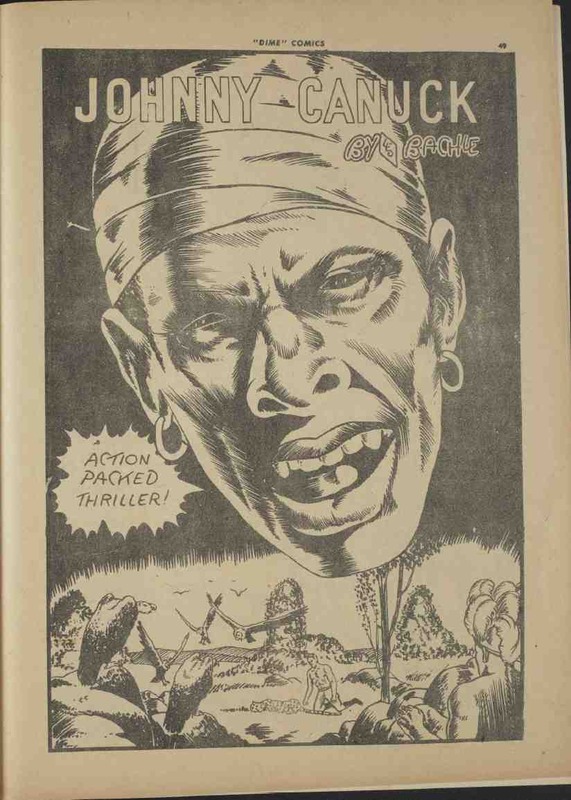 I take careful note of “Rex Baxter and Xalanta’s Secret”, “Johnny Canuck”, and “Action in the Pacific”. 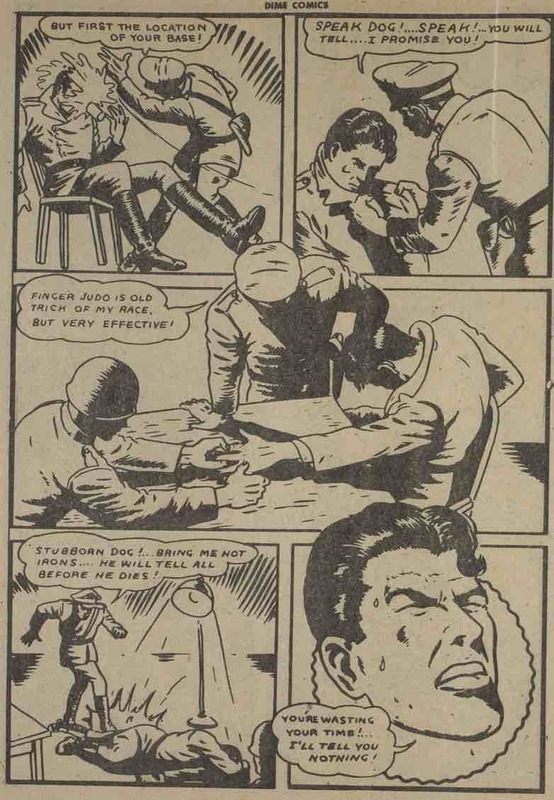 First, Rex Baxter and Gail Abbot rescue their alien accomplice, Zoltan, from a Japanese prison and then escape by stealing a Japanese aircraft (Dingle 1-7). Action lines are seen establishing dynamism amongst the various flying shots. 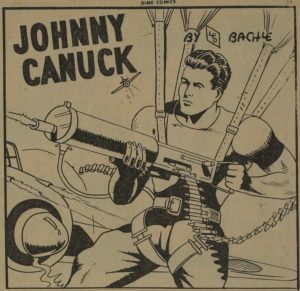 Next, Johnny Canuck bravely takes on a seemingly impossible bombing mission, then bombs a Japanese railway and shoots from his bomber aircraft at Japanese enemy planes (Bachle 23-29). He winds up captured, and the story ends with a cliff-hanger. Last, Robert Segal arm/2c in “Action in the Pacific” introduces the action-driven flying fighting scenes with an illustration with a bomb splashing in the sea and Segal flying off (Alexanian 44-45), and leads into a dogfight against the Japanese. 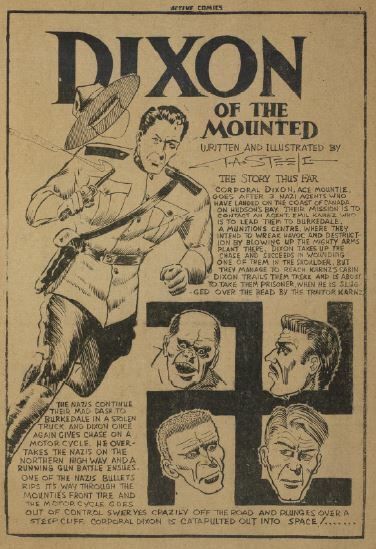 These three stories have in common a usage of “Jap” and “Nip” alongside caricatured portraits of Japanese men to dehumanize the enemy while Canada still fought on the Asian front, a white European-looking male protagonist with strong, masculine features, an emphasis on human qualities and existing technologies to defeat enemies, and exciting and dynamic flying fighting scenes. Leo Bachle. 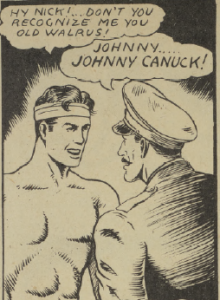 Panel from “Johnny Canuck”. Dime Comics, No. 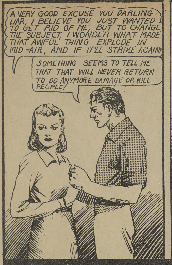 21, June 1945, p. 23. Bell Features Collection, Library and Archives Canada. heroism of Canadians against perceived inhuman Japanese enemies. 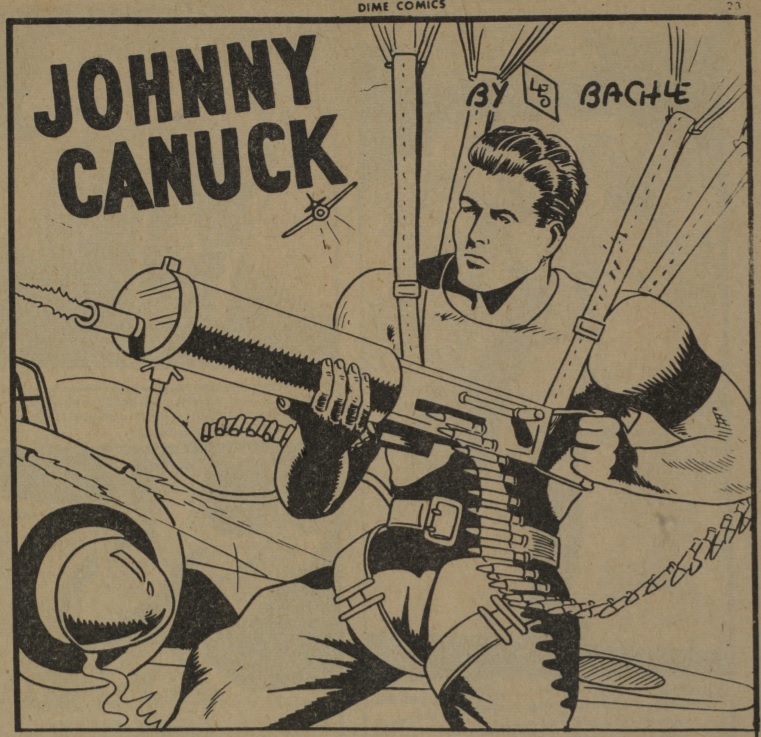 “Johnny Canuck” opens with a ¾ page illustration of the titular hero posed with flexed, enlarged muscles and a machine gun with rows of ammunition, next to his parked plane. Johnny Canuck is a humbly-abled hero possessing limited super-strength, appearing to be an exceptional athlete (Beaty, 430). This is one example of the correlation of the lack of supernatural heroes (i.e. heroes with ‘super powers’ or unnatural abilities) and the heavy fighter plane imagery. 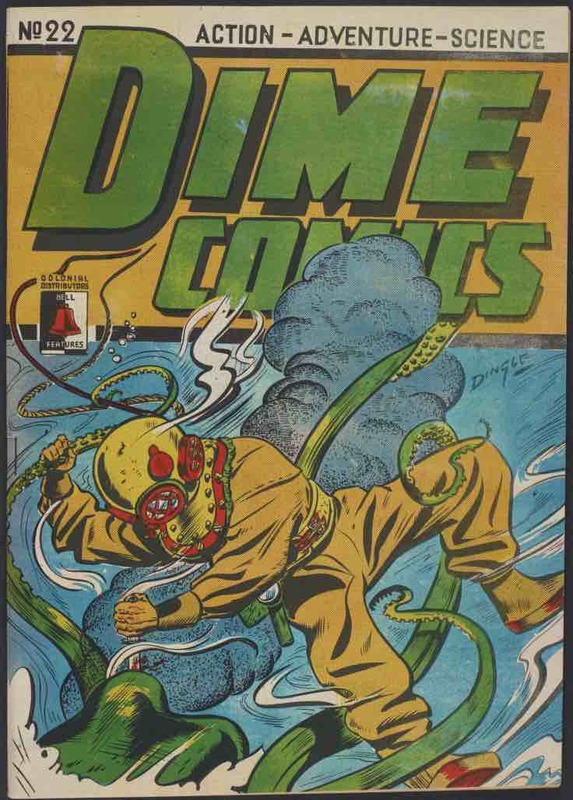 I argue that this correlation accounts for the perceived propaganda of Dime Comics, acting as a recruitment method by appealing to its demographic of young boys. The lack of supernatural characteristics paired with the hyper-masculine attributes allows for a stronger identification of the hero by the reader. 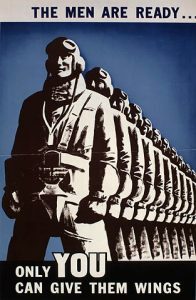 The fighter planes and war heroes are juxtaposed with positive masculine presentations, with a dominant male presence in the protagonists showing traits of intelligence, cleverness, and physical and mental strength. The heroes fight for justice and justice wins, allowing young readers to idolize such heroism in the war effort. 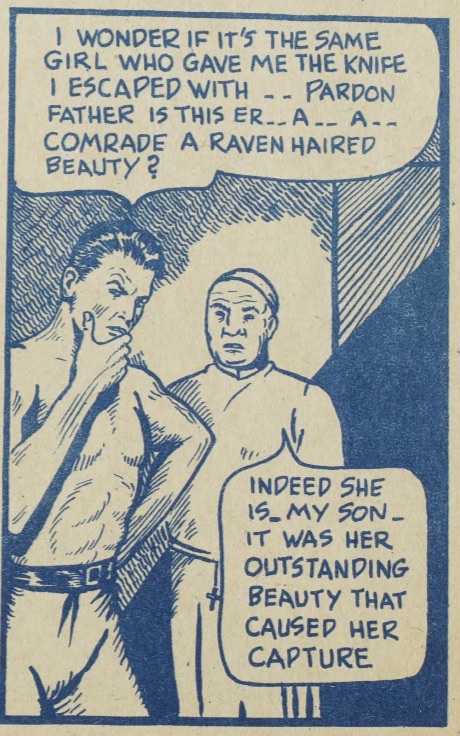 Despite the detail in the illustrations done by Adrian Dingle, Leo Bachle, and Aram Alexanian resulting in readers identifying less personally with the characters (Mcloud 36), the details are used to define and sculpt the hyper-masculinity of the heroes with chiseled facial features and enormous muscles renders a distinctly masculine and super-human figure. With their design, the characters represent a young boy’s aspirations which leads to a personal association when juxtaposed with the all-white, all-male faces of the heroes. 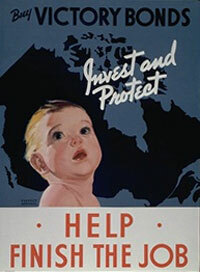 This is placed inside the context of Canada during WWII, where much of the public’s ideas surrounding the war are formulated and reinforced with propaganda. 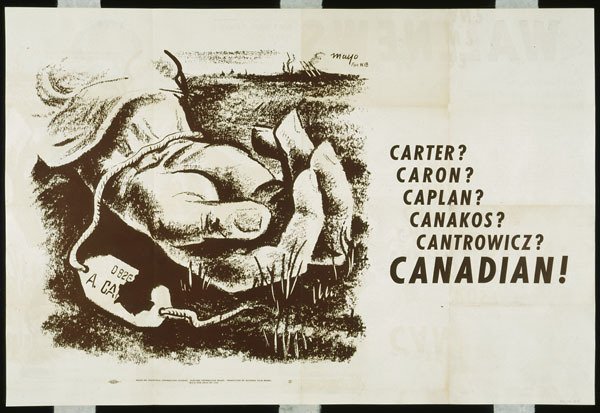 Taking the forms of posters, film, and more, propaganda reflects Canada’s identity, ideology, and priorities concerning the war. Kocmarek highlights the importance of Canadian identity for the golden age comics, stating, “Being born and bred during the Canadian experience of the Second World War would infuse ensuing books with its themes and tropes almost to the very end of their runs.” (149). With this he means an inherently Canadian narrative will emerge, superseding outside influence, through the fact of Canadian production. In a simplistic narrative form, Dime Comics reveals the relationship between children and the war. In his book on the Royal Canadian Air Force during WWII, English notes, “Canada embarked on a massive aircrew-training program known as the British Commonwealth Air Training Plan (BCATP)” (English, 5). The project commenced a natural following of the glamorized image of the aircraft. Expanding military air forces comes with distinct challenges, particularly of recruitment and selection. In WWI, Canada lacked a national air force altogether (English 19). Officials made elementary mistakes regarding the physical requirement of flying. What would be considered neglectful now, like enlisting flyers with vision impairment or experiencing battle exhaustion, was the norm, and some cases justified by a perception of flying as a rest from fighting. A revolution of recruitment, selection, and training was necessary due to the unprecedented strain on the military’s medical branch. Psychology and its progression plays a key role in the advancement of selection methods. 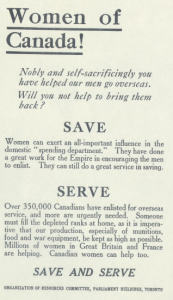 Post-WWI, Canada began a recruitment campaign, starting May 1917, and selection methods began to change. 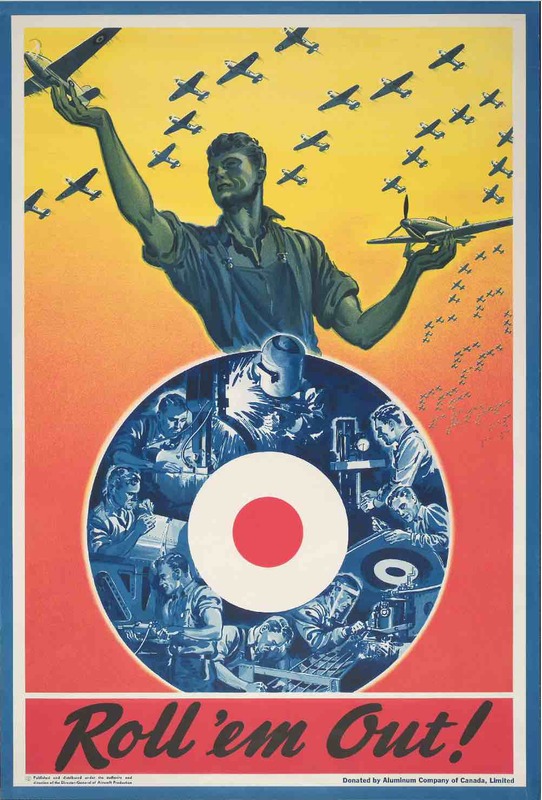 English observes, “One advertisement for ‘The All-Seeing Aviator’ asked for “clear-headed, keen-young men … possessing a fair education and sturdy physique” (23). 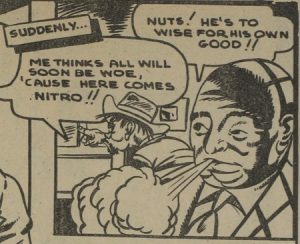 Johnny Canuck and Rex Baxter prove themselves as quick-witted in their respective narratives. 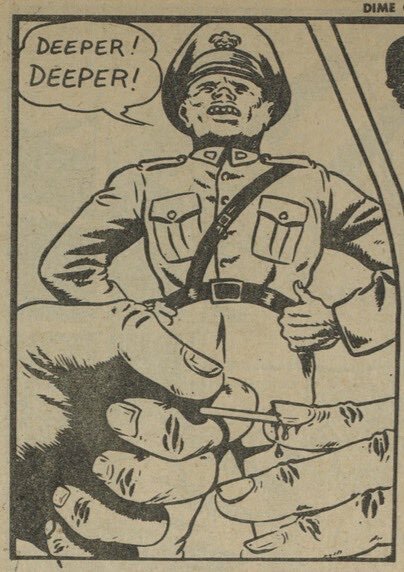 Johnny Canuck masterly flies his plane and aims at enemy planes, and Rex Baxter outsmarts trained Japanese military men. Robert Segal also attained mastery over the aircraft and skillfully dodges enemies and hits targets. 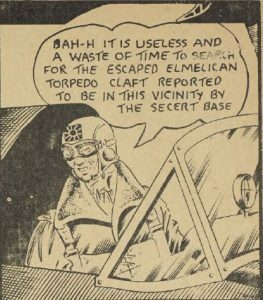 This trait of expertise in flying is the super-human characteristic all the characters possess in lieu of typical super-natural abilities. 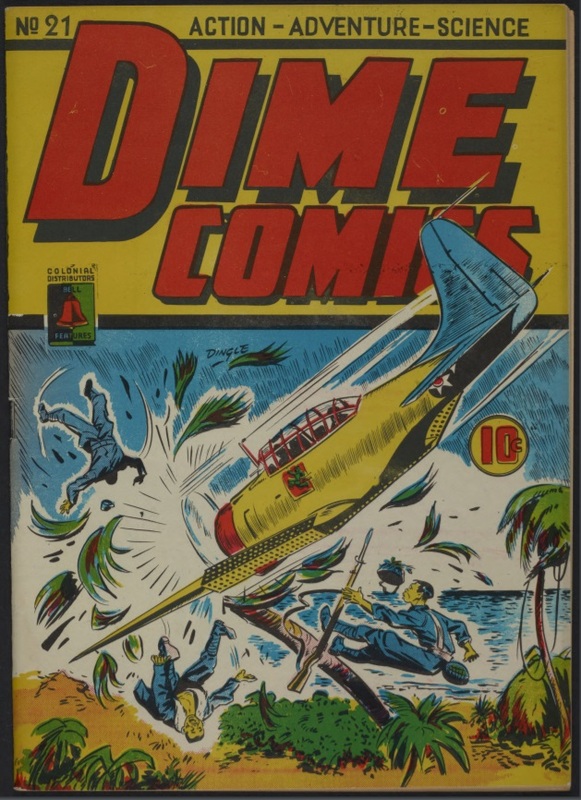 Dime Comics presents flying as brave and adventurous, without realistically depicting the dangers and risks associated. 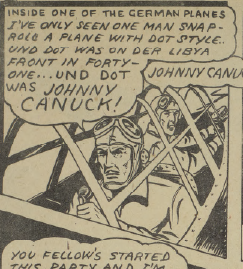 Johnny Canuck engages in air warfare and faces a crucial hit to his plane that forces him to land, and he says, “No use! 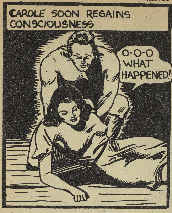 …This ship’s a goner! 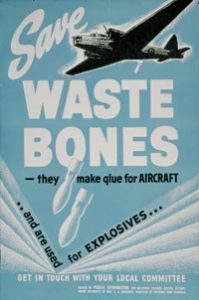 ..And I’ll have to drop right into those Jap rats’ laps!” (Bachle 25) While bullets are being shot at him, Leo Bachle wrote in that it was shrapnel from his own bomb hit that brought the plane down, implying his enemies are too incompetent to aim. Canuck’s pessimistic phrase is significant because it shows the courage of the hero to face any oncoming challenges, on land or in air. 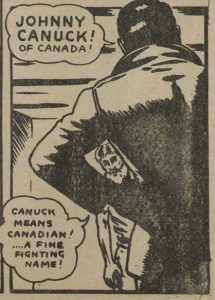 Being captured by the enemy is fatal in war and, as previously mentioned, Johnny Canuck is a mere mortal. He displays traits of intelligence and mental strength that make him desirable for military flying. Bainbridge outlines the effect had on morality during war-time. He claims, “Perhaps unsurprisingly, superheroes traditionally enjoy their greatest popularity during times of transition and uncertainty” (746). 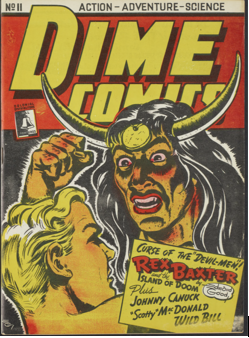 The heroes in Dime Comics are not pacifists, but the narrative requires the reader to trust in the hero’s sense of justice which justifies violent actions. Johnny Canuck blows up a railway station and brings down an enemy aircraft, but the bloodied bodies and dying faces are not pictures. Robert Segal similarly releases bombs and bullets on enemies, mid-air. 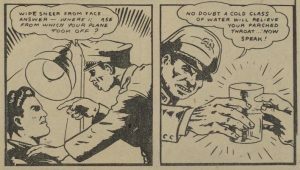 The comic would be too graphic for its demographic of children to read if it portrayed a realistic image of war and violence, but the moral uncertainty of war-time permits a distorted image of fighting, justice, and heroes and enemies as accessible. 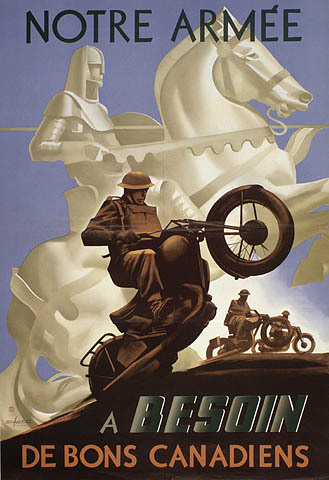 Canadian war posters provide insight and context for the Canadian identity and experience during the time. “Roll ‘Em Out”. 1940. Director-General of Aircraft Production. Baldwin Collection, Library and Archives Canada. 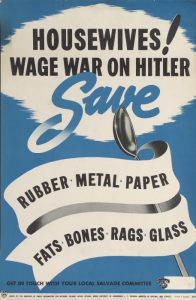 This ephemera documents a history of propaganda, and precisely by their nature they present a necessary snapshot to capture and understand WWII on the home front. 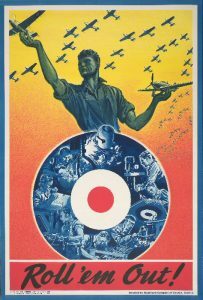 The 1940 poster inscribed with “Roll ‘Em Out” glamorizes the strength and power of airplane technology and the hard work of Canadians working in factories carefully painted in the image of the Royal Air Force insignia at the time. The man looks strong and powerful, while remaining childlike by appealing to the familiar image of a child playing with toy airplanes. 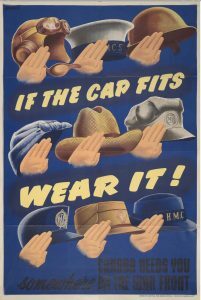 Establishing a national identity during war-time includes ensuring the war effort is nation-wide. Hero worship for the military frequents Canadian WWII propaganda yet factory workers, those conserving their essentials as per WECA, and those investing in the war effort through victory bonds and the like are celebrated similarly to boost morale and give everyone a part and responsibility in the success of the Canadian military. Dime Comics is placed within the hero worship portion of Canadian propaganda due to its dynamic and attention-grabbing aspects, abstractly depicted through brave men with a duty for their nation and prevailing against impossible odds, to work parallel to pre-existing ephemera posters and advertisements which instill comradery in each individual’s contributions to the war effort. 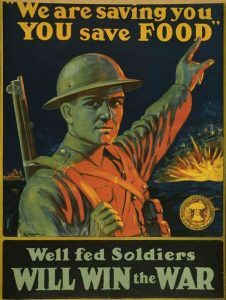 The appearance of propaganda in all its forms is important to study and to familiarize oneself in order to avoid ignorance in politically-charged contexts, like in war or other moments of moral uncertainty, which would lead one to overlook products that promote shifting ideology to serve the state. The Canadian military had immense incentive to ensure Canadian citizens upheld positive views about its involvement in WWII, particularly to promote the air force to improve the risky activity of flying with better selected and trained pilots. Pride and respect for one’s nation is natural, but the cultural conditioning of its citizens by the state is not. 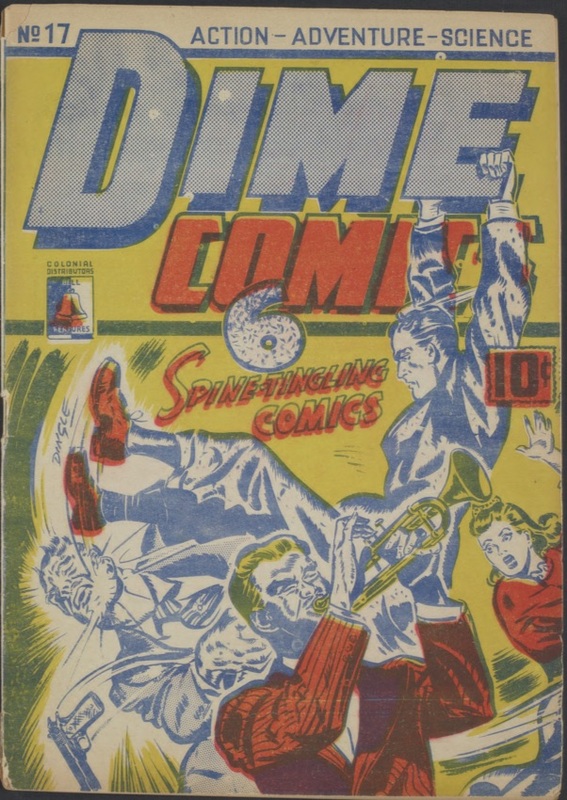 While Dime Comics was merely a commercial product, unlike other instances of propaganda ephemera, the political is sold commercially to profit from a culture homogenized and hegemonized intimately by state action. Children are susceptible to adopting ideology pushed by media and commercial products, and should arguably be barred from indoctrination through children’s literature, but especially if a product asserts its war-specific moral code. 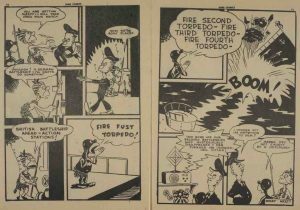 Young readers are drawn to comics, like Mccloud states, “When you enter the world of a cartoon—you see yourself” (36). 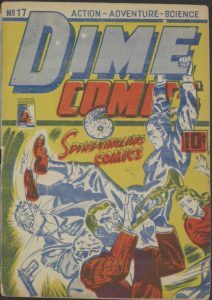 The young, male comic book readers idolize masculinity in the forms of service to the nation displayed by the protagonists in Dime Comics no. 21. With a critical approach to commercial ephemera, the Canadian identity can represent a dynamic and intelligent population unwilling to submit to the state’s attempts to sway public opinion to comply with its efforts when they do not serve the Canadian people.